Amazing light installations will always use energy, but Lumiere producers Artichoke believe it is important to limit the impact the festival has on the planet. For Lumiere Durham, all installations are made as energy efficient as they can be. Instead of relying solely on generators, mains power is used when possible and many works use low energy LEDs. Street lights are switched off or reduced, saving power and reducing light pollution so the installations can shine brighter. Artichoke combines artwork and equipment to limit the number of trucks used for transport. Contractors and suppliers based in or close to Durham are employed. Audiences are encouraged to use public transport to get around during the festival. 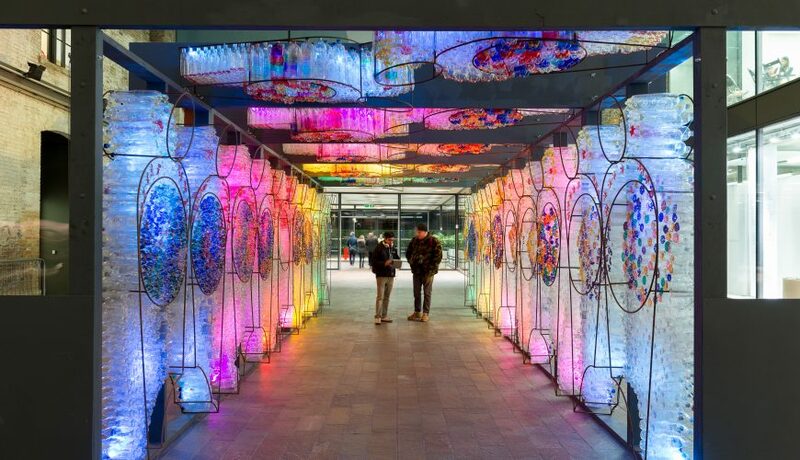 Artichoke also often commissions installations that are created using sustainable materials. 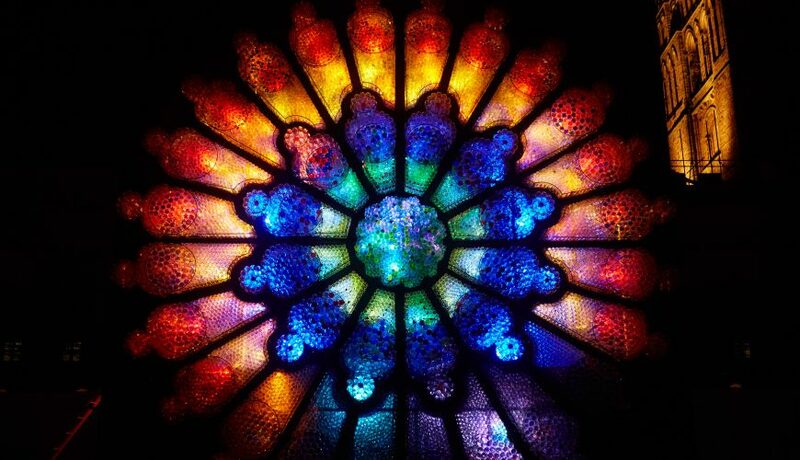 For Lumiere Durham 2015, Mick Stephenson built Litre of Light, a replica of Durham Cathedral’s Rose Window made entirely of recycled bottles contributed by Durham residents. LITRE OF LIGHT by My Shelter Foundation and Mick Stephenson (UK). LUMIERE 2013, produced by Artichoke in Durham. Photo Matthew Andrews. 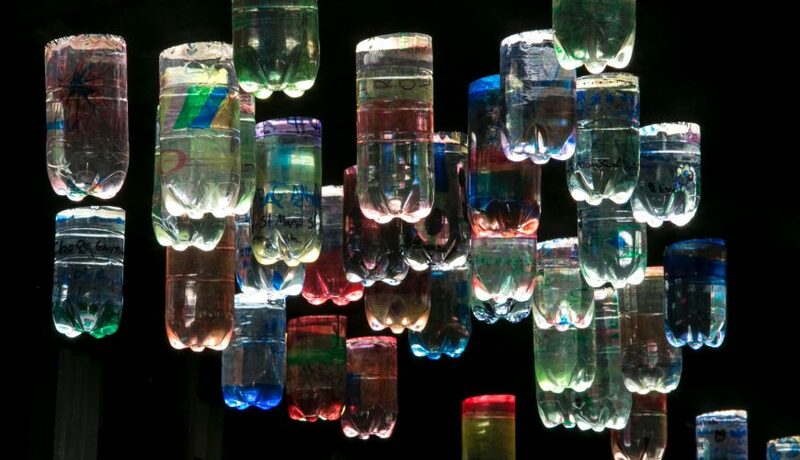 Creating a light bulb through the simple technology of bleached water in an empty plastic bottle, Litre of Light brings light to the homes of some of the world’s poorest people.